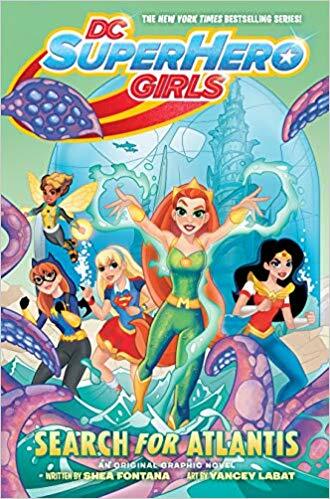 Late last year I read and wasn't greatly impressed with Shea Fontana and Yancey's DC SuperHero Girls: Date with Disaster but I've given the series another shot with Search for Atlantis. I still didn't love it but it was better. The story for one was tighter, more focused. This time around Atlantis has gone missing and the girls must find it while a subplot involving jealousy and friendship plays out. Once again I enjoyed reading about some characters I'm not greatly familiar with (Braniac, Raven, Beast Boy, and Miss Martian in particular) and, unfortunately, I haven't come around on Labat's Bratz-doll styled characters. It was entertaining though.